The Ministry of Food and Drug Safety said Wednesday it will toughen regulations on clinical trials, as they have led to an alarming number of deaths and hospitalizations due to side effects. Eighty-two people were reported to have died during clinical trials from 2012 to June 2017, while 1,168 people were hospitalized due to life-threatening conditions, according to ministry data released by Rep. Kim Sang-hoon of the opposition Liberty Korea Party. Kim is a member of the parliamentary committee on health and welfare. From October, medical institutions conducting clinical trials will be required to provide information on all possible side effects when recruiting participants. They must also inform participants in advance of the clinical trial’s name, objective, methods, the qualifications of participants and criteria for their selection as well as the name, address and contact details of the sponsor responsible for the safety of the subjects. 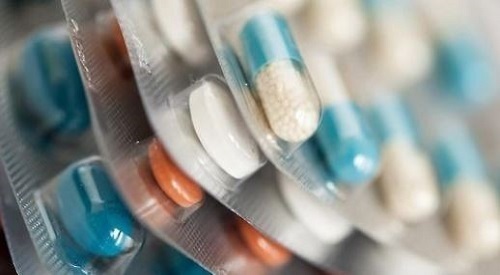 The ministry toughened penalties for falsely reporting trial results such as understating side effects and overstating the efficacy of the treatment. Those found to have falsely stated information on the participants, adverse events occurred during the trial, records on the drug and contracts will be subject to cancellation of designation as clinical trial conductors, suspension of business, a prison term of up to one year or fine of up to 10 million won ($8,960). As part of efforts to protect the personal information of the participants, only institutions designated by the minister of drug safety will be allowed to analyze blood and urine samples collected during clinical trials. The ministry is considering capping the number of clinical trials a healthy person can take part in at two per year, down from the current four. The ministry also said it will take steps to require institutions and pharmaceutical companies conducting clinical trials to buy insurance to compensate participants for possible damages from drug side effects. Korea has a reputation as a paradise for clinical trials, as the government has increased support for medical experiments and the development of new drugs. The government even set up the Korea National Enterprise for Clinical Trials under the Ministry of Health and Welfare in 2014 to build infrastructure for clinical trials and support the industry. The number of clinical trials conducted in Korea rose 17 percent on average annually for 10 years from 136 in 2004 to 653 in 2014, according to a report from the People’s Solidarity for Participatory Democracy. Last year, 658 clinical trials were conducted in Korea, making it the sixth-largest market for experiments or observations in clinical research. Some 299 of those involved multinational pharmaceutical companies. Seoul was the city with the world’s greatest number of clinical trials conducted. “Clinical trials should be minimized as they can be deadly and entail ethical issues as they experiment on people,” said Kim Nam-hee of the People’s Solidarity for Participatory Democracy. Despite the serious risks of clinical trials, their overall process as well as standards, principles and responsibility for supervision lack transparency, Kim said, adding that the procedures for agreement and compensation should be improved.